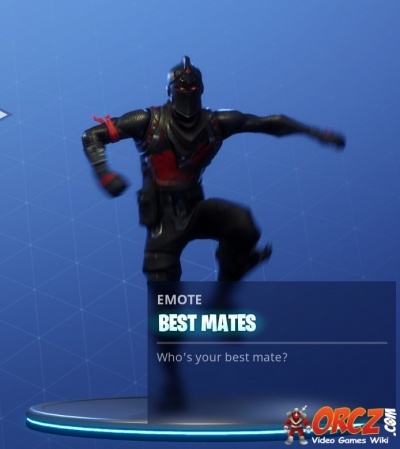 Best Mates is an emote you can earn in Fortnite Battle Royale. Earned at Tier 63 of the paid Season 3 Battle Pass. You need to equip this emote in the Locker before you can use it in the game. This emotes animation and namesake are a reference to a video by ThePruld called "When you go dark souls with your best mates"